Join The Joe Niekro Foundation as we Batter Up for National AVM Awareness Month in October! Take part in honoring survivors and paying tribute to those who have lost their battle by making a donation today. An arteriovenous malformation (AVM) is a complex tangle of abnormal arteries and veins linked by one or more direct connections called fistulas or shuts. This tangle of abnormal arteries and veins is referred to as a nidus. Normally, as the high-pressure arterial blood is pumped through a capillary bed there is a gradual decrease in blood pressure before reaching the venous system. With an AVM, the capillary bed is absent and the high-pressure arterial blood bypasses normal brain tissue and is pumped directly into the normally low-pressure venous system. Over time, the high blood flow and shunting of high-pressure arterial blood through the AVM causes the feeder arteries and veins making up the AVM to dilate or expand. This dilation weakens veins making them susceptible to hemorrhage and the arteries susceptible to aneurysms. AVMs are thought to be due to abnormal development of blood vessels in utero and may be present since birth. 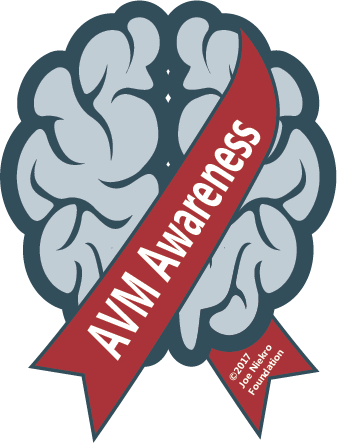 More than 50% of people with an AVM will have an intracranial hemorrhage. 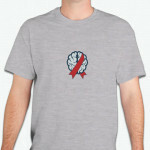 An estimated 300,000 Americans are affected by arteriovenous malformations of the brain and spinal cord. Stay tuned for our upcoming webinars with Dr. Ricardo Hanel MD PhD, the Director at Baptist Neurological Institute and Dr. Gustavo Pradilla MD, the Assistant Professor Emory University Department of Neurosurgery! 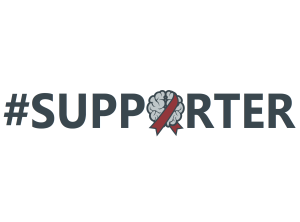 Show us your support by snapping a photo with one of our #Supporter, #Caregiver or #Supporter printable signs for AVM Awareness! Follow us on Facebook, Twitter and Instagram for the chance to enter social media contests – we’ll have one contest every week! 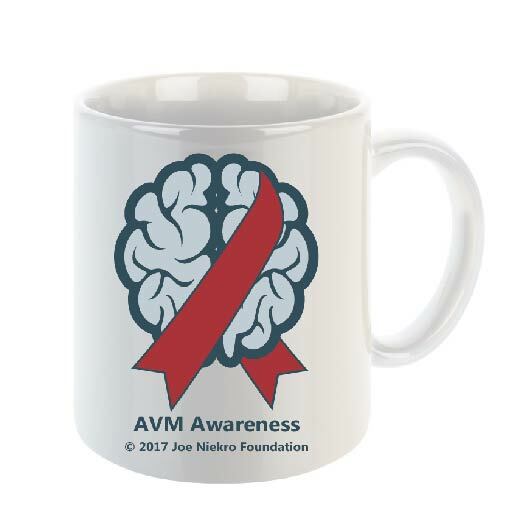 Check out our new retail items specifically designed for AVM Awareness Month. The Joe Niekro Foundation is working tirelessly on expanding our National Patient Support Group Program and advocacy as well as presence in hospitals and medical facilities during 2017. 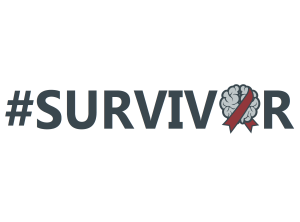 We feel that it is extremely important to help people affected by AVMs to understand what it is that they are dealing with, physically and emotionally, whether that be a survivor of an AVM or a loved one, not just at the time of initial diagnosis but long into post recovery. 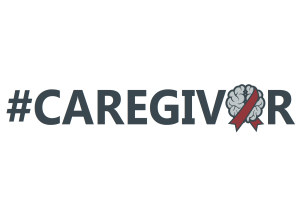 Take part in honoring brain aneurysm survivors and paying tribute to those who have lost their battle by making a donation (below) during the month of October! Your donation is essential to supporting our mission and we thank you for joining us in the fight. 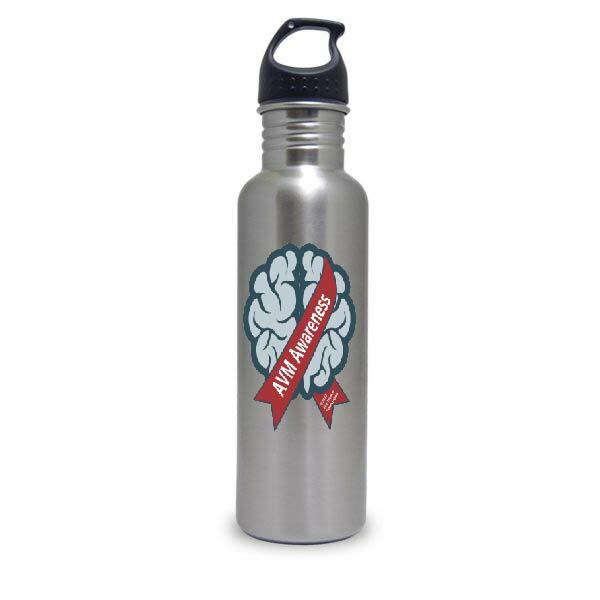 Thank you for joining in the fight of brain aneurysms, AVMs and hemorrhagic strokes.